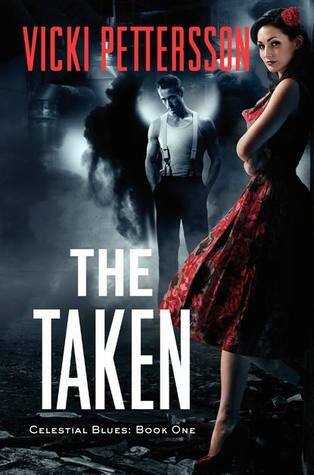 The Taken (Celestial Blues #1) by Vicki Pettersson. Publication : June 12th 2012 by Harper Voyager. It's one of those times when I can't really decide on the rating. I'm going with 3.5 stars for this one. When I read the blurb of The Taken, I was immediately interested because I'm a huge fan of all things urban fantasy. I'm picky about the kind of writing style that I like and although it took me a while to get used to Pettersson's writing, The Taken caught my interest right from the very first line; you'll know what I mean when you read it. I loved getting to know the protagonists of this book; Kit and Grif. The chemistry between them pretty much had me waiting/rooting for the moment when something would happen (between them). Oh, who am I kidding, Grif is HOT, even more for those who like the dark and broody type. But more than that, it was the mystery put together with Vicki's lively writing that really held my interest; throw in the bit with the angels and I'm sold. However, I'll admit that the book's not without it's flaws. There were times when I didn't find the transition between the chapters to be smooth and I felt like they jumped from one thing to another. Thankfully, that didn't last forever. Despite the promising start (or rather, the promising first chapter), The Taken, had the dreaded mid-book slump that had me skimming through the pages, only in this case the slump was in the beginning. It did pick up the pace after sometime and that's when things got interesting. I should also mention that some of the words (specifically, slang from the fifties) were lost on me but I'm pretty sure that it's probably just me and that I may need to update my vocabulary. To put it simply, I enjoyed reading this book. It had everything I need for a fun and entertaining summer read - a unique plot, engaging characters, budding romance and witty writing. I look forward to reading the next book in The Celestial Blues series.